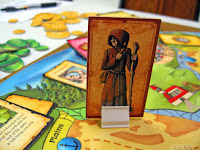 I am a sucker for a fantasy-adventure game, with some of my favorites being Magic Realm, Talisman, Return of the Heroes, Runebound, and finally, Dungeons and Dragons Fantasy Adventure Boardgame. Recently I traded a good soul one of the games I’m not particularly fond of for Z-Man’s latest adventure game, Prophecy. 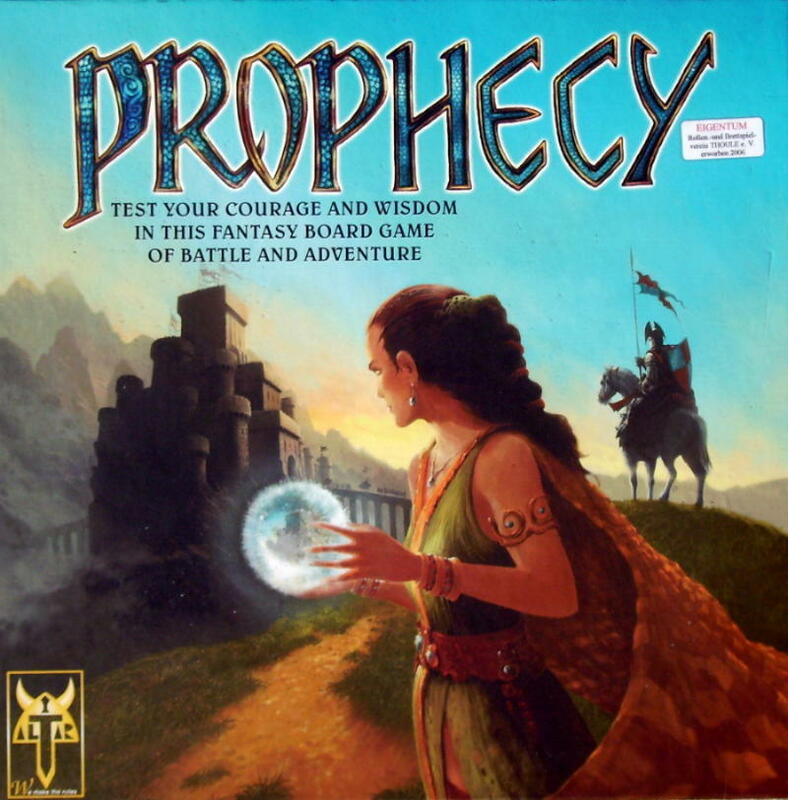 I, just 2 nights ago, played my third game of Prophecy, and I am here to tell you that it is hands-down one of the most fun adventure games I’ve ever played. It’s ridiculously simple, but there are still “moment of truth” decisions to be made that affect you not only immediately, but down the road an hour. It’s just brilliantly designed, and is almost precisely what I was looking for; a game that bridges the gap between Talisman and Runebound. Put simply, this is a must-have game for anyone who likes these types of games. When you crack the nicely illustrated box open, you’ll be happy to see that there’s two well-designed and organized rulebooks for varying game difficulty levels, a hand-illustrated monopoly-sized game board, two D6 dice, a bunch of cardboard character sheets that are nearly as thick as a pencil and five player references of the same material, standies of the same material that act as pawns, oodles of chits, and finally, a bunch of half-sized cards. The art is quite good, although not Boris Vallejo quality, and I’d definitely say that the art, combined with the theme, make this game look absolutely wonderful. The single most impressive thing about this game’s components is that the box insert is the best that I have ever seen. The cards go in a slot that’s perfect for their size and you can use the standies as separators, so that when setting up or putting away the game it’s quick and painless. The big cardboard character sheets all stack neatly inside the cavity with the references, and the bits bin holds all of the chits and whatnots in perfectly. Bravo, Mr. Prophecy, apparently you had foreseen the need for this type of insert and acted on it. Finally, although there are no plastics in the box other than the dice, the components are all of good quality and, in my experience, are surprisingly durable. The premise of the game is that in a land apart, a great king died, left his four sons to fight over succession and the artifacts of power that kept the peace for many millennia, leaving both a power vacuum as well as evil and anarchy. This fall from grace is mainly due to the dumbest of the Princes, who thought it prudent to open portals to the Astral Planes in order to summon really, really nasty critters to help him win the war of succession. Guess he never played Arkham Horror. The good news is that in bad times, religion always seems to come to the rescue, and thus enters the game’s namesake, the Prophecy. This prophecy foretells of one of royal lineage who will get the groovy little magical artifacts and prove themselves worth to be the new King/Queen, bringing peace, happiness and joy. There are five of these artifacts that can be won in the five Astral Planes by going to the portal and defeating their two guardians of increasing strength. The player who owns X number of artifacts first becomes the Billy Badass of the universe, King of the world, and all that jazz. 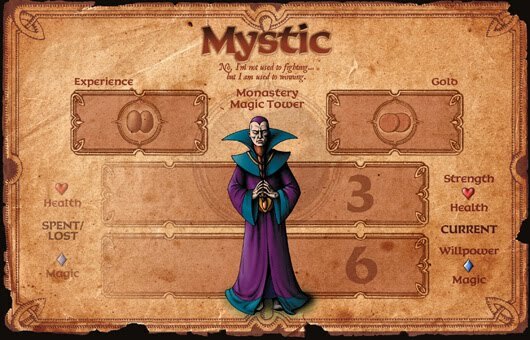 The players start out pretty much without much money, with no skills or power to speak of, but as you defeat wandering monsters, visit guilds to gain skills and spells, and basically grow in your abilities to knuckle a brother up, you can then take on the Astral Planes’ inhabitants to acquire said artifacts. It’s fantasy adventure at its finest, and you truly get the feeling of being a wandering hero who is trying to cleave evil from the face of the kingdom. It’s just really well done, and the people I’ve played with all agree that this is head-and-shoulders beyond the fun and excitement of others in the genre, or at least those they’ve ever played. Gameplay is a bit like Talisman, although I hate to make the comparison, where you move around the world in a circular path, killing and maiming baddies, stealing, and buffing your little avatar up through collecting items, skills, and experience to become a better maimer and killer of baddies. There are only two coins of the realm, so to speak, in Prophecy: The experience points you use to buy upgrades and skills, and gold, which you use to bribe people into giving you stuff, or buy items from the shops. There are limits on how much of each you can have at the end of your turn, and thus resource management and forward-planning is crucial to being an effective player. This is also absolutely where the light RPG aspect of the game shines, and although it is indeed light, it’s engaging enough to keep you interested and playing again and again. I know that the formula of “draw an event card and resolve it, move, battle, take actions, end turn” has been done to death, but this game truly pulls it off due to the wide variety of choices allotted to each player on their turn. I’ll go in order of the actions you must take, to give you a feel for the gameplay. First, you take a Chance card and resolve it, which is the only way in which anything of substance happens in the game. It’s a small deck that is constantly reshuffled, as are all the decks in the game, but this one is particularly small. 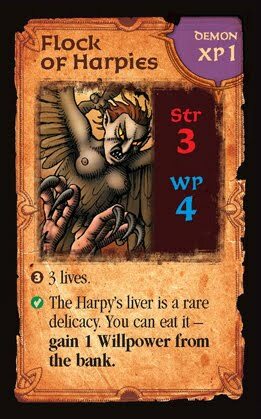 The events that occur range from these range from healing the player that drew it or providing the player with the least gold to gain some, to causing all of a spaces of a type, such as mountains or forest spaces, to gain an Adventure card up to the maximum of two per space, which are the source of all the wandering monsters in the entire game. The adventure cards are not all monsters, though, as some are Opportunities that you can elect to take advantage of when you are on the space. There are a ton of these adventure cards, and in each play we only reshuffled the deck once, indicating that a player will likely not encounter the same Opportunity more than twice in any given game. Movement is quite simple and straightforward, with the player having the ability to move one space in any direction for free, to pay one gold to move an additional space, or to pay varying amounts of gold to take magic portals or ships to places further away than the two spaces you’d normally move, provided you’re on a magic portal or port when you opt to move. This is superior to Talisman’s roll-and-move limitations, and allows you far more freedom of action than other, similar games. In comparison to Talisman, where you are forced to move in only two directions, and must move the amount you rolled exactly, there’s no turns wasted running back and forth trying to hit the exact roll you need to get to where you really want to go. It’s just a well-designed movement mechanic that eases many of the frustrations I’ve experienced with others in the genre. 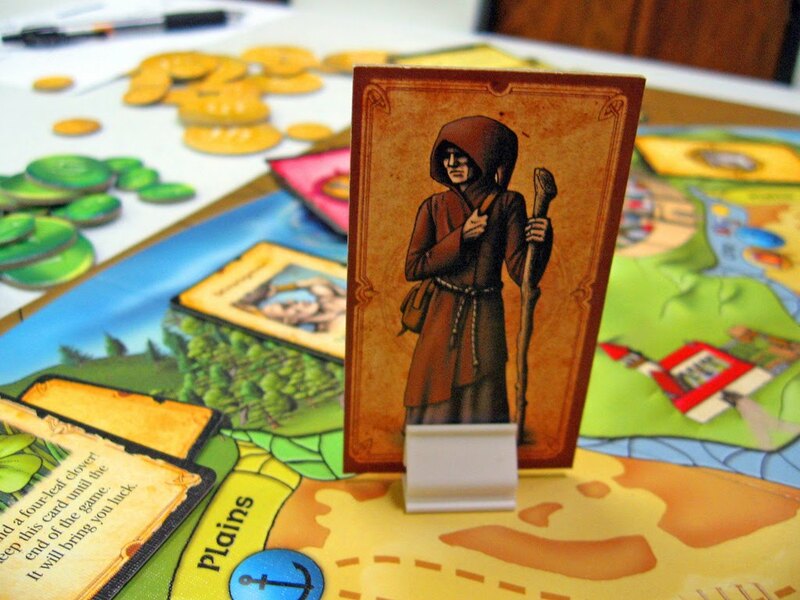 In essence, everything is accessible, and it works well with the purview of the game’s design. After moving, you can take various actions during your turn, and as I’ve mentioned before, the options are legion. There are all kinds of printed locations within the game board that allow you to purchase things, recharge your magic, gain skills, and all sorts of other activities, and the game never seems to run into the spectre of boredom and repetitiveness that other games in the genre seem to succumb to. In short, you always have purpose in the game, and there’s never a turn where you’ve got nothing to do. There are also the random events that are placed on the generic spaced on the board which get populated by the Chance cards, as mentioned before, and these are all varied an different. Some will boost your strength or magic, and some will provide you some experience, and others provide you items, skills for free, and all manner of things. Most of these events are resolved via skill checks, where you roll a die and add that attribute to it in order to succeed. This, my dear friends, is where the luck involved in the game takes its toll on you. If you’re like me, and have incredibly bad luck with dice, you can get frustrated. The good news is that there are ample ways to boost your statistics in order to gain the abilities required to pass these skill checks, so you are not totally screwed if you’re generally an unlucky person. Although luck is a huge factor, strategically buffing your character’s skills in order to be successful is a matter of planning, is certainly not a deterrent to wanting to play the game, and really is integral to the game because the building of your character is akin to watching your character’s story unfold before you. They say it’s not the destination, but the journey, that’s important in life, and this game typifies this. The turns end after you’ve done everything you wish to do, and the next player takes their turn, starting by taking a Chance card and resolving it. I didn’t mention this earlier, but you may indeed attack your fellow players to steal their stuff, or simply to harass your buddy, and the mechanic for combat is the same with this as it is with combat; it’s a skill check. 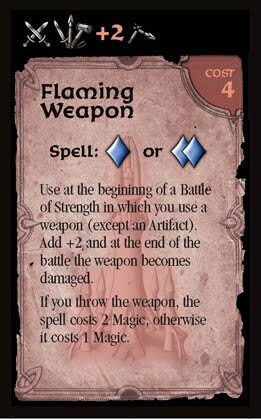 All combat boils down to testing your combat skill, plus any bonuses for items you have, plus any bonus for spells you can cast, plus your roll of a D6, against the opponent’s skills an bonuses, with creatures all having a printed Strength skill on the card. 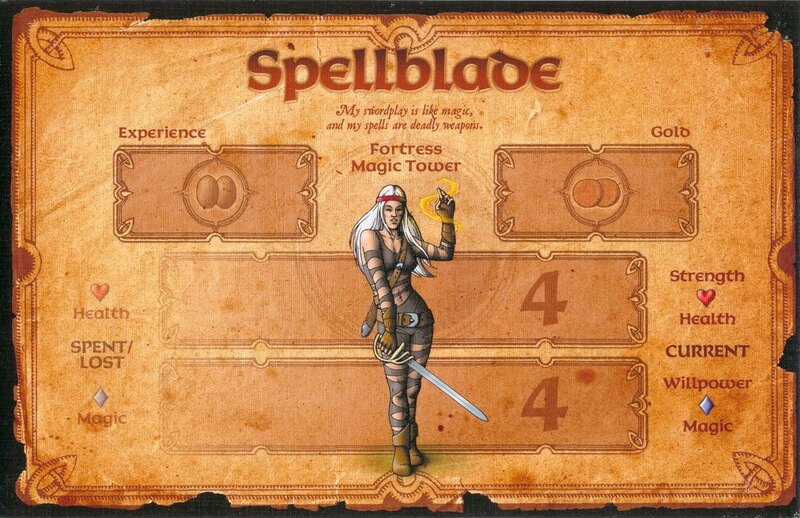 If the creature has both a Strength and Magic rating, you must attack them using the skill that is first listed, and if you wish to attack using the alternate skill value, you must spend two magic points to do so, forcing you to weaken yourself in order to use that alternate skill. This comes into play if you are a wizardly type, assuming you have a high magic and low strength and are attacking a monster with high strength and low magic skills. Again, the game gives you multitudes of options, and each decision you make can affect you either immediately or down the road. Winning a battle results in getting experience as well as some treasure of one sort or another, and losing costs you one life and the forfeit of your remaining turn. The endgame comes down to the players battling it out to be the last man standing, provided there was no super-player who managed to get the correct number of artifacts through battling the demons in the Astral Planes. 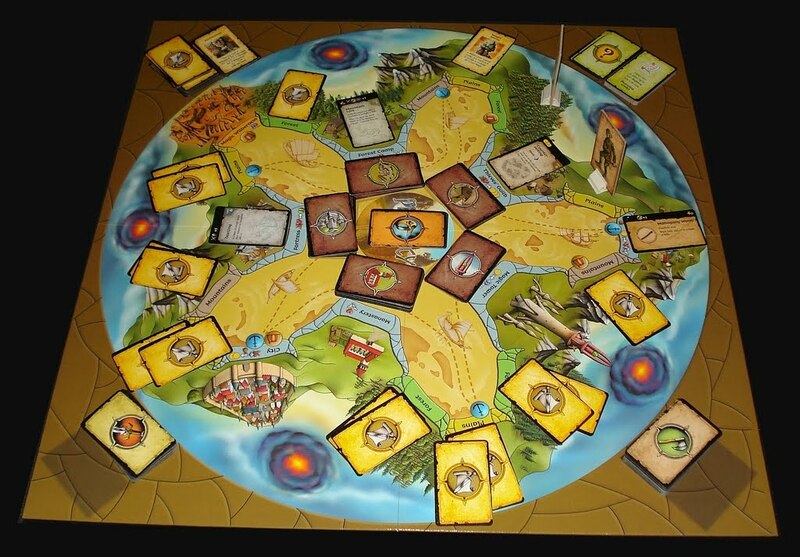 The game becomes a mano-a-mano battle for supremacy, and the game ends when one player has the requisite artifact count, right then and there. At the end of the day, I enjoy this game far more than I ever did Talisman, and I will be trading or ebaying my copy of Talisman off simply because now that I have this, I have no desire to play Talisman anymore. 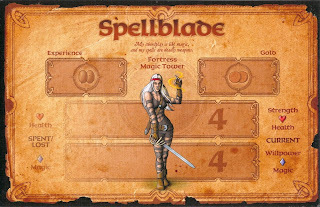 While not nearly as deep as Magic Realm or Runebound, this bridges the gap between Talisman and the deeper games very well, providing an exceptionally engaging little delve into a world of swords, sorcery, and high adventure. I have abandoned Talisman, which was my previous favorite light RPG/Adventure game, and even with the many expansions available to Talisman, this game surpasses it in virtually every possible way. If you like fantasy adventure RPGs and don’t buy this, you do it at your own peril. This is on my permanent, all time, must have game list, and I would play this in a box, with a fox, or anytime, anywhere I am invited to do so. All I can say is that this is just a damned fine game. Lo! Behold! The oracles foresee an expansion! Alas! The Headless Hollow has conjured an exceptional quick-reference guide as well! Previous PostJury Duty – The Lessons I Learned About The Breakdown Of American SocietyNext PostScore Some Free Stuff! !